The SHNH – Society for the History of Natural History Summer 2016 event and AGM on Norwich Naturalists will be held on Friday 1st July 2016 at the Castle Museum Norwich, UK. The meeting will focus on naturalists with links to Norwich and Norfolk. This will be a day meeting, held in the Town Close Auditorium, from approximately 10.00 – 17.00. There will be a visit to Thorpe Marshes Nature Reserve on Saturday 2nd July. 14.30 – 15.00 Clive Slater: A history of John Henry Gurney Senior’s Raptorial Collection. Why was it lost to Norfolk? 15.10 – 15.40 Pat Morris The work of Walter Lowne of Great Yarmouth. Optional visit to Thorpe Marshes Nature Reserve with Chris Durdin, the local walk guide, starting at 10.00, for approximately 2 hours’ circular walk through ungrazed and grazed meadows, and around a former gravel pit Broad. There is no parking on Whitlingham Lane. 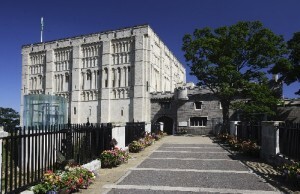 The site is easily reached via bus from Norwich city centre. The paths can often be muddy, so wellingtons are recommended. Two local pubs on the Yarmouth road will provide lunch options. The Maids Head Hotel, 20 Tombland, Norwich NR3 1LB, near the cathedral precinct, has a bus stop nearby which serves the city centre close to the Castle Museum. It has reserved a limited number of double rooms for SHNH for the nights of 30 June/1 July and for 2 July and these will be held until 30 May. Please contact me if you wish to have more information on rates, availability or book one of these rooms.